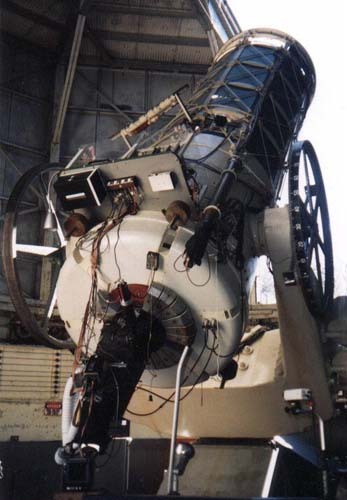 A high-intensity pulsed laser, teamed with a moderate sized telescope, forms an efficient interstellar beacon. Using only "Earth 2000" technology, we could build such a laser transmitter. To a distant observer in the direction of its slender beam, it would appear (during its brief pulse) a thousand times brighter than our sun. Beginning October 19, 1998 we have been searching for such intense laser pulses, transmitted deliberately in our direction by another civilization in order to initiate communication across interstellar distances. preprint: ApJ paper (in press) on Harvard/Princeton OSETI (pdf - 420 kB) !!NEW!! Visit the Horowitz Group Home Page!